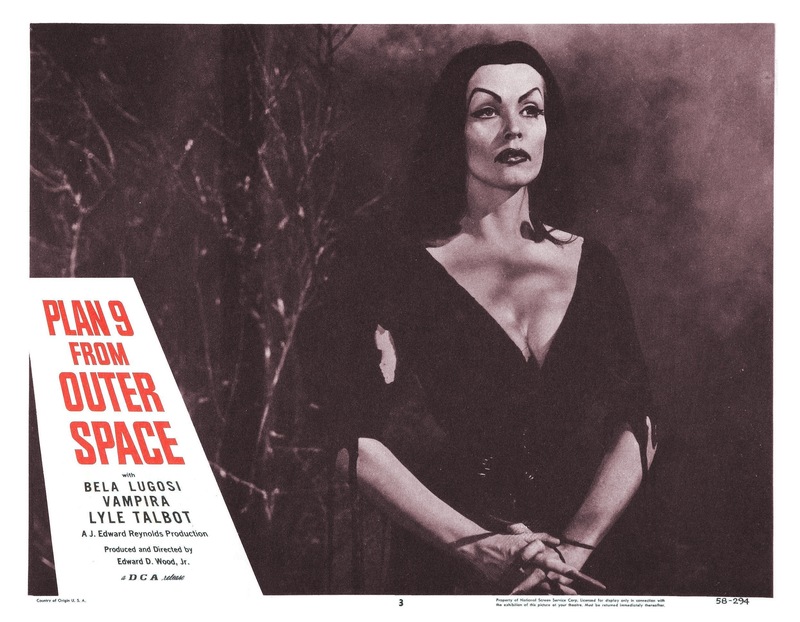 Plan 9 from Outer Space and the director of the film Ed Wood are both kind of legendary, but not for the reasons most films and filmmakers are legendary for. 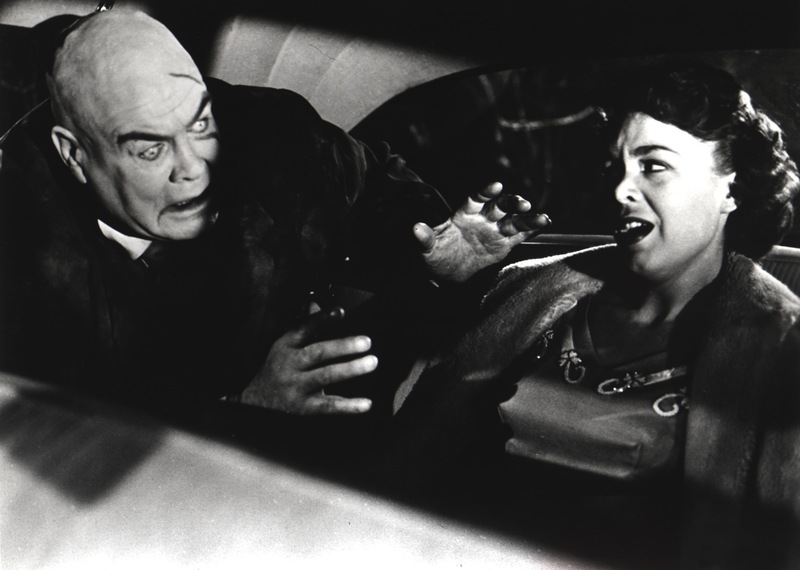 Many consider Plan 9 one of the worst films ever made and Ed Wood often cited as the worst director of all time. Wood’s hack status is so legendary that people who’ve never seen his films will often compare other bad filmmakers to him. I guess if you can’t be the best might as well be the worst since to be truly remembered decades and decades later is you either gotta be great or you gotta be horrible. Say what you want on Ed Wood’s talents or lack of, but the guy did something right to remembered all these years later even if not remembered for the right reasons. 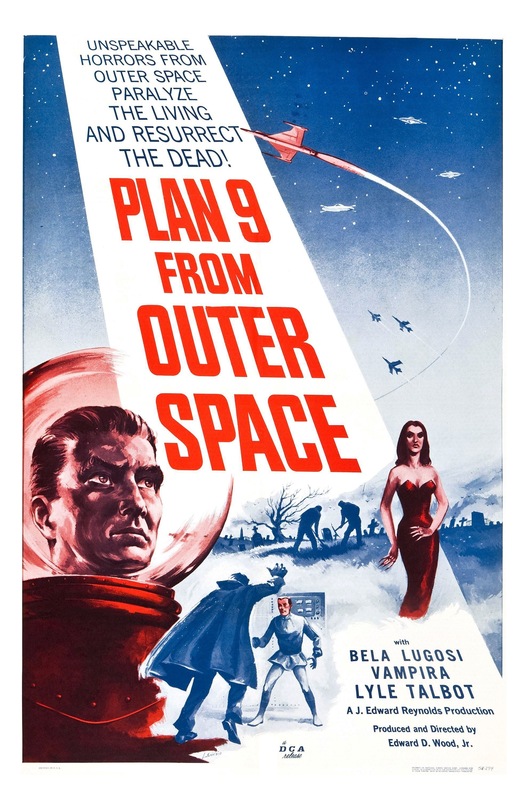 Plan 9 from Outer Space for better or worse is Ed Wood’s legacy and this film can be labeled a disasterpiece and quite honestly I really love Plan 9. 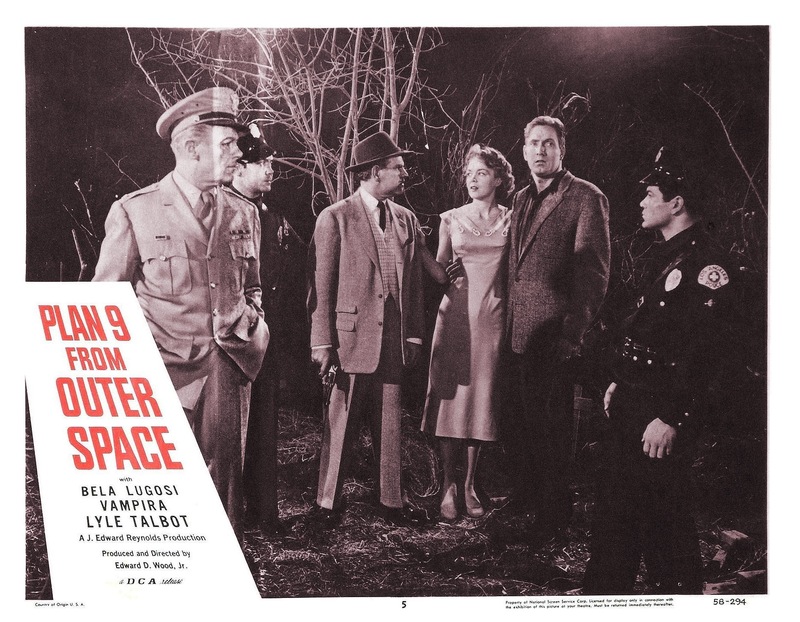 Sure it’s hack filmmaking 101, but when I think of films I would label worst film the one thing they all have in common is they are boring and that’s one thing Plan 9 isn’t. From the opening to closing, Ed Wood makes one hell of a fun film and its easily one of my favorite cult films. More often than not fans of cult cinema label this the worst film, but I disagree. 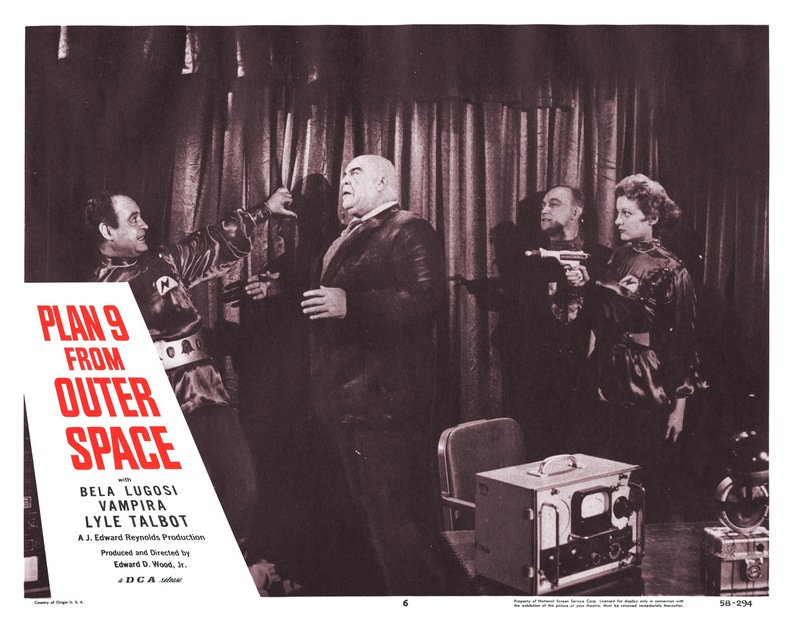 From a filmmaking side of things no Plan 9 isn’t well made by any stretch of the imagination, but can anybody really say such films as Zombie Lake and the Last Slumber Party are better made? I greatly enjoy both of those films and in the case of Zombie Lake director Jean Rollin actually made some very good films. 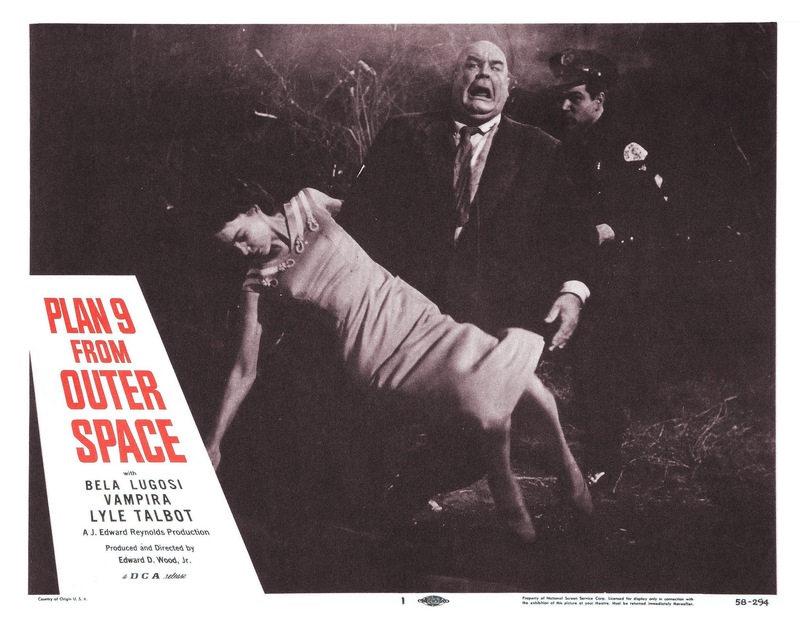 But regardless as much as I enjoy Zombie Lake and Last Slumber Party there is no way anyone can with a straight face say they’re better made than Plan 9 from Outer Space. 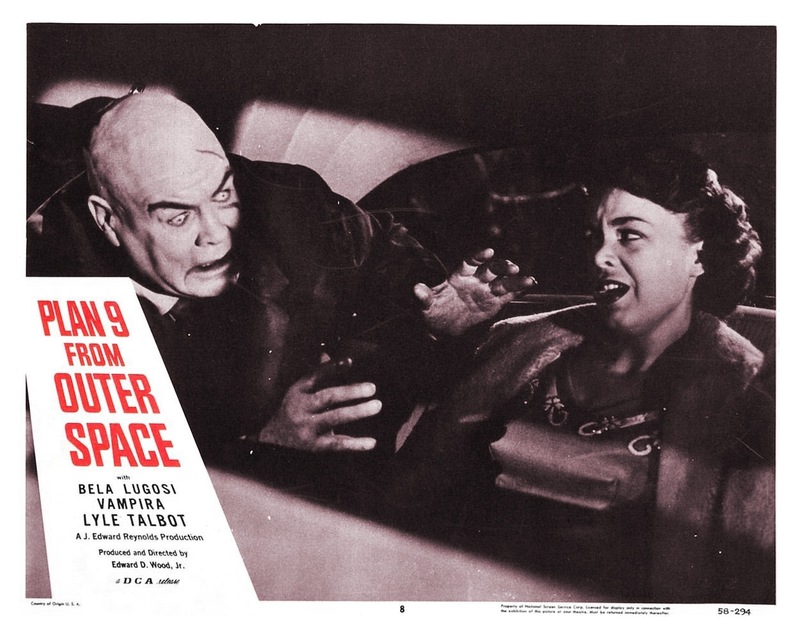 However with that said there is a good reason why Plan 9 is sometimes dubbed the worst film. The film is a collection of some truly bizarre scenes and dialogue and all this mixed together makes for one of the ultimate so bad it’s good movies and actually this film would inspire the Fred Dekker cult classic Night of the Creeps. I often wonder though if Ed Wood set out to make the film exactly as it turned out. While we’re all laughing at how bad of a filmmaker he was perhaps the joke was all on us? Odds are that isn’t the case, but I can’t help but wonder if the joke was all on us. But I suppose I might be giving Ed Wood a little too much credit. Aliens are invading earth and raising the dead to stop Earth from developing a powerful bomb called the Solobonite that could threaten the entire universe. Lieutenant John Harper: But one thing’s sure. Inspector Clay is dead, murdered, and somebody’s responsible. Paula Trent: I’ve never seen you in this mood before. Jeff Trent: I guess that’s because I’ve never been in this mood before. Paula Trent: …A flying saucer? You mean the kind from up there? Gravedigger: Don’t like hearing noises, especially when there ain’t supposed to be any. Lieutenant John Harper: Kelton, Get down there and check it out? Patrolman Kelton: Well, how do I do that sir? Lieutenant John Harper: By going down there and checking it out! 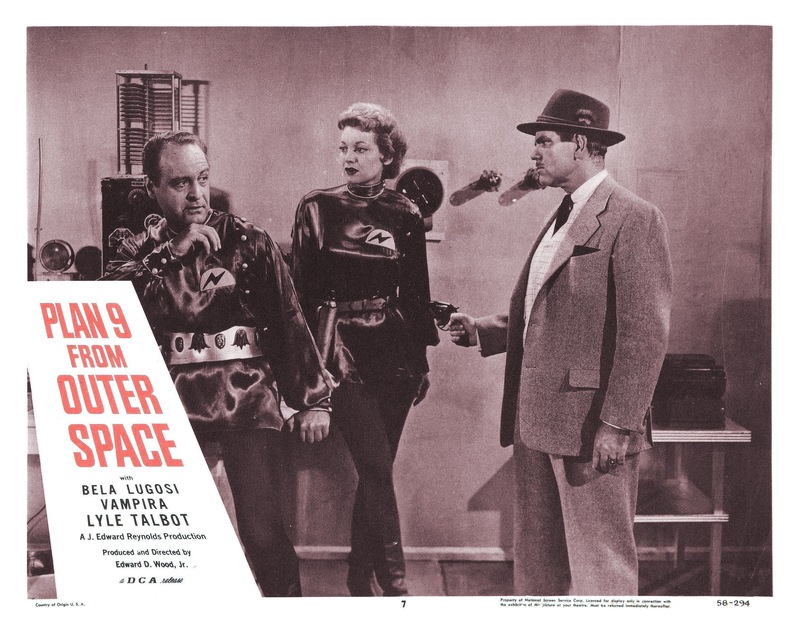 As director Ed Wood crafts a bad film for the ages. Say what you want about the man as a director, but his films weren’t boring. They were hack jobs for sure, but they were more often than not a blast to watch. The pacing of the film is great as there is never a slow moment to be found. From the opening to closing there’s something always really funny from bad dialogue, idiotic choices made by the characters, goofs, stock shots, random shots of Bela Lugosi that add nothing to the plot, Tom Mason standing in for Lugosi than next shot using Bela Lugosi. 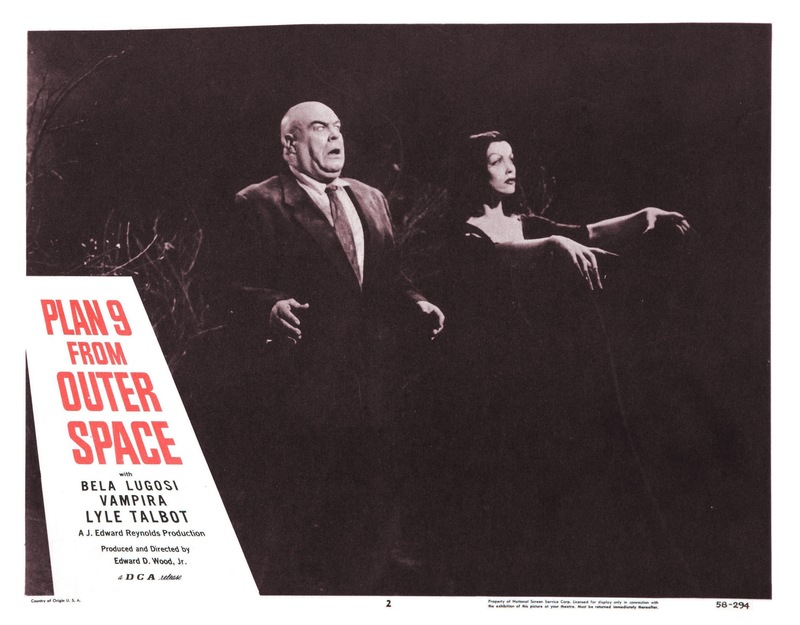 It really isn’t difficult to see why the film and Ed Wood are labeled the worst and while perhaps this wasn’t Ed Wood’s intentions, but Plan 9 is comedic gold. This easily rates as one of the funniest and most fun films I ever had the pleasure of watching. Wood actually does attempt to create suspense and an eerie tone and obviously he’s never very successful at that, but he does create a really fun tone. 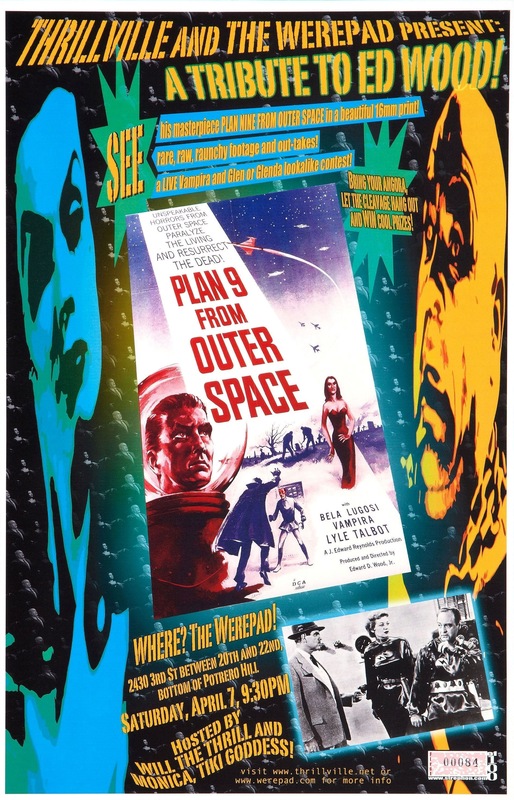 Like I said before say what you want about Ed Wood, but his films are often fun with none more fun than Plan 9 from Outer Space and I can name many films that are equally as poorly made with some being complete bores something this film never was. You have to take into account also the guy had zero money to make his films and that isn’t an excuse since there have been many filmmakers working with very little money that delivered truly brilliant films, but I guess my point is I’ve seen films produced on a far larger budget than Plan 9 with filmmaking just as bad and they lacked the fun factor Plan 9 and other Ed Wood movies had. As for Bela Lugosi, apparently Ed Wood with no script in mind got some shots of Lugosi and after his death, Ed Wood wrote Plan 9 around the footage he shot with Lugosi and inserted it into the film despite the fact it really has nothing to really do with the plot. 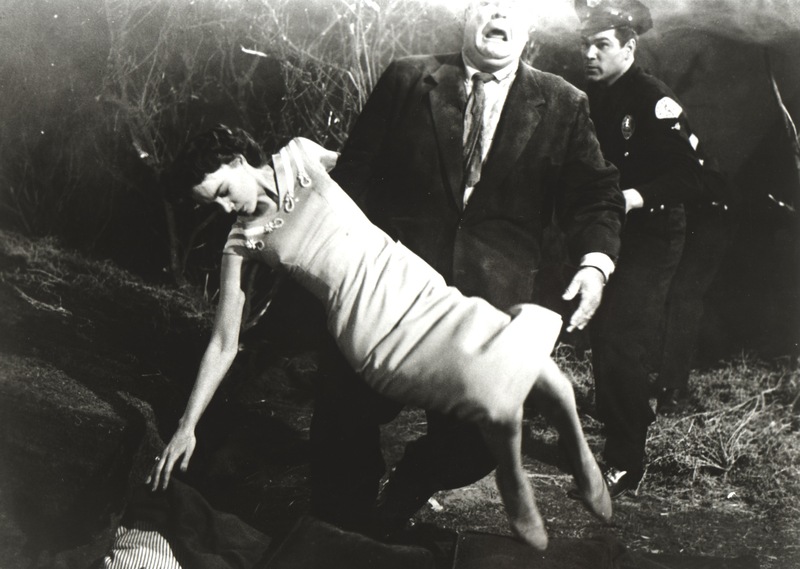 Tom Mason was Ed Wood’s wife’s chiropractor and played the scenes of Lugosi’s character with the cape draped over his face. It’s painfully obvious that it isn’t Lugosi even with Mason covering his face and he’s also taller than Lugosi. Sometimes we see Mason with the cape over his face than a cut to something else and than a shot of Lugosi edited in. Besides being hysterical due to the fact we can tell the difference between Tom Mason and Bela Lugosi, but also because the footage of Lugosi doesn’t really fit and its quite clear these scenes were for another project. Sadly Plan 9 from Outer Space was the very last film with Bela Lugosi and Bride of the Monster also by Ed Wood was actually his last speaking role in a film. Some felt Ed Wood took advantage of an old drug addicted Bela Lugosi whereas others say Ed Wood genuinely cared for Lugosi and was just trying to help him and while I really don’t know a whole lot about their relationship I’d say it was perhaps a little bit of both. As much as I enjoy the films of Ed Wood I do feel sorry for Bela Lugosi who was such a terrific actor and Plan 9 as fun as it turned out was a far cry from Dracula. 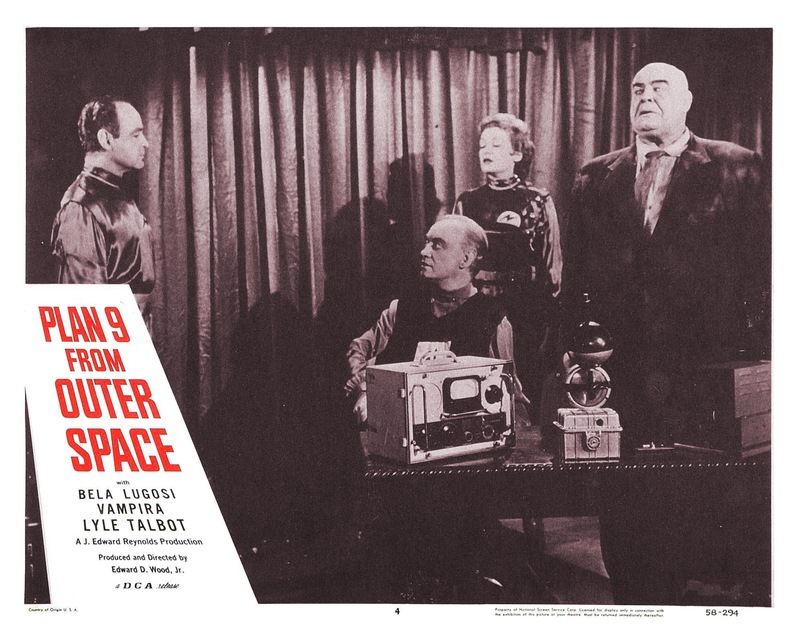 Overall Plan 9 from Outer Space is such a fun film; from the silly dialogue, incoherent plot, stock shots and the poor acting help make this one of the best so bad it’s good films and make it one of the ultimate cult classics. 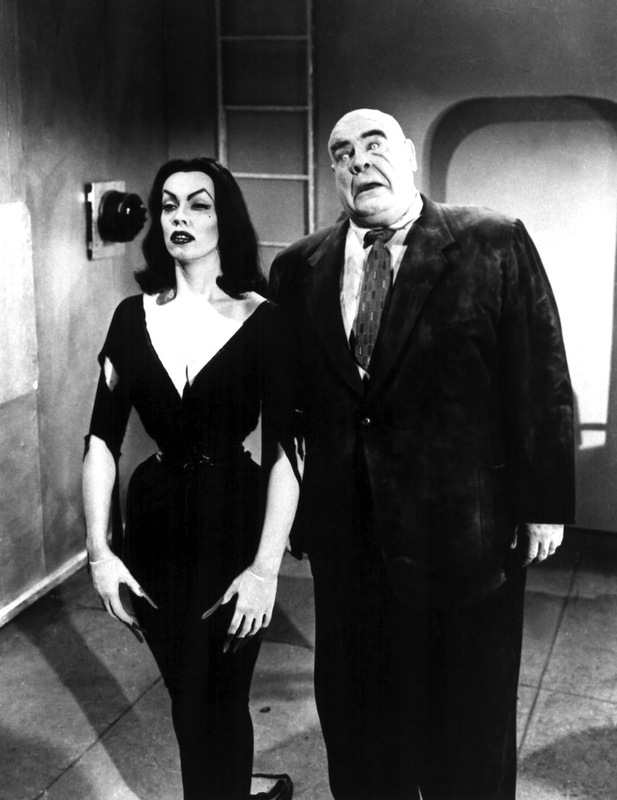 Ed Wood may be labeled the worst, but I am a fan of his work and Plan 9 from Outer Space is for better or worse his best film. 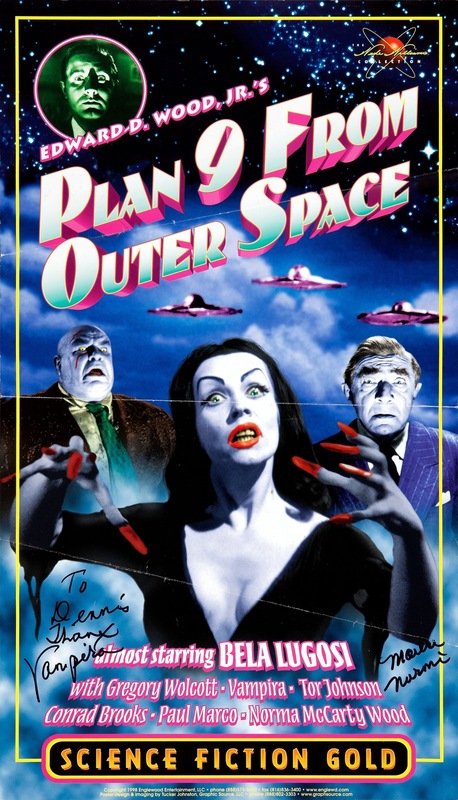 Plan 9 from Outer Space was released by Legend Films on blu-ray in 2012, which was 53-years after its original theatrical release. Legend Films are known for colorizing black & white movies, while also including the original B/W version. The video is strong and the best the film has looked on home video. Print damage is visible and while the video is quite strong considering the age and low budget origins I think you could get the same results on a strong DVD transfer, which isn’t a knock since Legend Films can only put in so much money. They put a lot of care into the film and again while it looked good I still think a strong DVD transfer could bring about the same results. Surprisingly the audio is actually pretty good and while not great it was far better than expected. As for the color version while I guess it looks good for the most part, but at times does in my opinion had an unnatural look. Of all the colorized versions by Legend Films I never watched any from beginning to end, but Ed Wood’s Bride of the Monster and Last Man on Earth looked fairly good (though much better in the natural B/W), but in my opinion the colorized version of Plan 9 is the weakest of the three, but does have its moments, but you’re better off with the original B/W version.